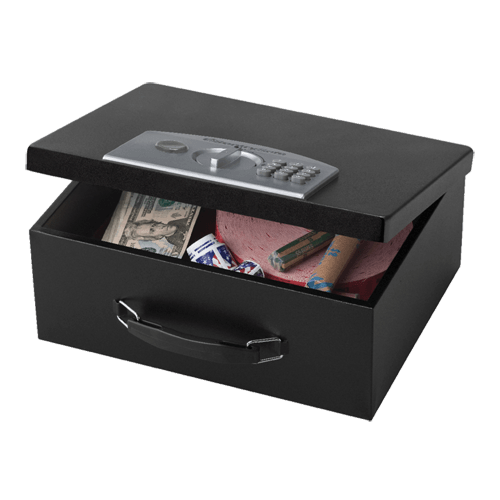 ESB-3 Portable Security Safe is rated 4.5 out of 5 by 2. 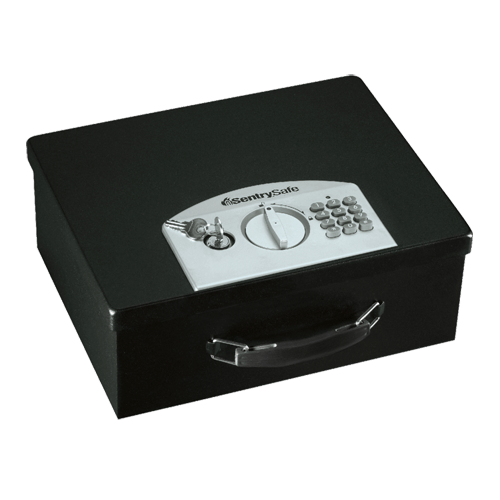 The Digital Security Portable Lock Box ESB-3 offers versatile security for your cash storage needs. The ESB-3 is designed with you in mind–complete with a carrying handle for easy transportation and steel construction for durable and reliable protection of your valuables. Rated 5 out of 5 by Lone Rider from Great product I just received my notary commission from the state of Texas, my certificate, log book,notary stamp and embosser fit in the very secure and professional looking safe.I could not be more pleased. Rated 4 out of 5 by Ebunny007 from Strong and Secure Safe Make sure that you use good and reliable batteries cause when they die you have to have a spare hidden somewhere else.